The Hole-In-One combines a couple of items I don’t normally think of together: scotch and vermouth. In fact, it’s almost like a martini with scotch instead of gin or vodka – but not quite. The vermouth – combined with the marrying ingredients, orange bitters and just a touch of lemon juice – brings out the fruity notes in the scotch, but very subtly. 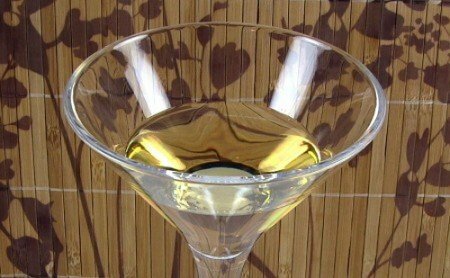 That makes it a nice choice when you’re in the mood for a switch from martinis or plain scotch.